This blueprint is a bit of a departure from my other ones listed for sale. 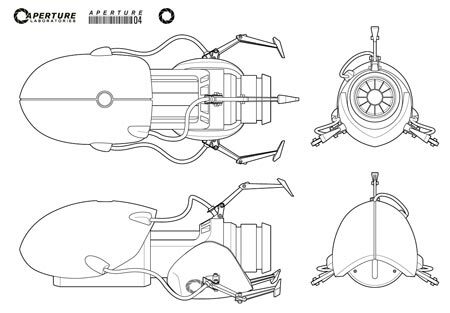 These blueprints have been created using my first Portal Gun project as the base for the illustration. Because of this, they are not game-accurate, but rather accurate to the Portal Gun that is currently sitting in my living room. If you’re after that model, then here it is! Blueprints are available in PDF format and what is illustrated in the thumbnail is what will come with your purchase. Thumbnail images are low resolution; purchased files are vector and can be scaled to any proportion.